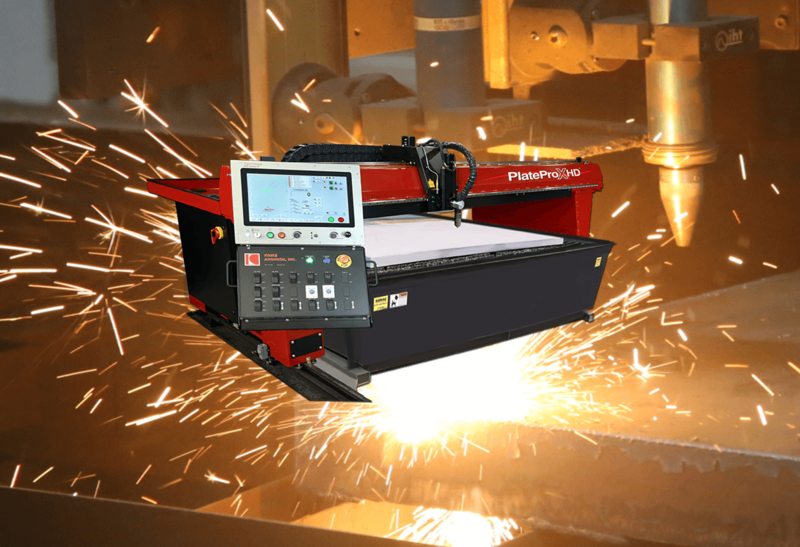 The Plate ProX-HD is an amazing value in a high definition plasma cutting machine. In fact, HD could almost stand for “Huge Dividends,” because when you buy a Plate ProX-HD, you get a versatile cutting machine that can be optioned to suit your exact requirements. Yet, the innovative hot-rolled, welded and gusseted main beam is so strong, HD should probably stand for “Heavy Duty.” Like all of our made-in-USA cutting machines and positioners, the Plate ProX-HD is incredibly rugged, built to withstand years of continuous use. Are you curious to find out how much MORE work you can get done with a Plate ProX-HD? We’ll be happy to spec one out for you. Fill in the form above.